You are here: Home » High Court of Australia gives Chief Justice Spigelman one last slap for the James Hardie judgement. Chief Justice Spigelman committed one last criminal act in the James Hardie matter before he resigned as Chief Justice of the Supreme Court of New South Wales in May 2011. At the same time he had some major questions that needed to be answered in relation to illegal deals that his registrars were approving between the NSW Crime Commission and criminals. Questions that go unanswered to this day. The High Court of Australia overturned the NSW Court of Appeal judgment in the James Hardie director’s matter where they were trying to rip off people dying of asbestos related diseases. Well known criminal James Spigelman headed up the three NSW judges who handed down the judgement, that was overturned by the HCA, in one of his last judgements as Chief Justice of NSW just before he retired early. Why did he retire early? Well he was a criminal on the run to say the least and not just for the James Hardie judgement. But lets deal with the James Hardie matter. I made the call on the 12th March 2011 in a previous post titled “Chief Justice Spigelman – Predetermined Judgements” that the decision was a corrupt one in the James Hardie court of appeal decision that exonerated the directors of James Hardie. (Click here to read) This is important when you read the post because do believe a layman like me knows more about the law than three judges of the Supreme Court of NSW. If not you should agree that their judgement was corrupt. For much of the twentieth century, James Hardie was one of a number of companies involved in the manufacture, distribution and mining of asbestos and its related products such as building products, insulation, pipes and brake linings. In Australia, there were asbestos plants in New South Wales, South Australia, Victoria, Queensland and Western Australia. Many of these asbestos products – including the building material known as “Fibro” – caused people to develop various pleural abnormalities such as asbestos is and malignant mesothelioma. While other companies were involved in similar asbestos-related activities, most notably [CSR], more than 50% of claims made to the NSW Dust Disease Tribunal in 2002 were brought against companies in the James Hardie group. James Hardie had been structured as a parent company operating through subsidiaries since the 1930s. All asbestos operations, including the provision of compensation, were undertaken by James Hardie’s subsidiaries, principally James Hardie and Coy and Hardie-Ferodo (later known as Jsekarb). Between 1995 and 2000, James Hardie (the parent company) began to remove the assets of these subsidiaries (since renamed Amaca and Amaba respectively), whilst leaving them with most of the asbestos liabilities of the James Hardie group. In 2001 these two companies were separated from James Hardie and acquired by the Medical Research and Compensation Foundation (MRCF) which was essentially created in order to act as an administrator for Hardie’s asbestos liabilities. Then CEO of James Hardie, Peter McDonald, made public announcements emphasising that the MRCF had sufficient funds to meet all future claims and that James Hardie would not give it any further substantial funds. Indeed, the net assets of the MRCF were A$293 million, mostly in real estate and loans, and exceeded the ‘best estimate’ of $286 million in liabilities which had been estimated in an actuarial report commissioned by James Hardie. After this separation, James Hardie moved offshore to the Netherlands for what it claimed were significant tax advantages for the company and its shareholders. To make this move, the company had to assure Australian courts (as it was listed on the Australian Stock Exchange) that the MRCF would be able to meet future liabilities. The courts were assured of this and that more money would be made available to its Australian asbestos victims if it were needed.The move to the Netherlands therefore proceeded. However, the tax benefits which James Hardie expected to receive as a result from its move have not eventuated. Shortly after the move, an actuarial report found that James Hardie asbestos liabilities were likely to reach A$574.3 million. The MRCF sought extra funding from James Hardie and was offered A$18 million in assets, an offer the MRCF rejected. The estimate of asbestos liabilities was promptly revised to A$751.7 million in 2002 and then A$1.573 billion in 2003 In discussing the shortfall with the MRCF, James Hardie refused to accept further responsibility for the liabilities on the basis that the MRCF and James Hardie were separate legal entities. The funding shortfall became of increasing concern in 2004 as it became clear that eligible victims would miss out on receiving compensation. On 12 February, a judicial inquiry into the matter was commissioned by the NSW government. The findings were very critical of James Hardie and its management. Amongst other findings, it found that the actuarial reports commissioned by James Hardie which estimated liabilities at A$286 million were inadequate because they used a financial model which made unfounded predictions on the value of investments held by Amaca and Amaba, the figures were subject to numerous unspecified conditions and they did not account for the effect of separating Amaca and Amaba from James Hardie. However, the inquiry found that James Hardie was under no legal obligation to provide compensation. Despite this finding, there was immense political and social pressure on James Hardie to negotiate a compensation deal; governments were boycotting James Hardie products and unions were threatening to instigate a global union movement against the company based on a black ban of James Hardie products. In February 2007 every member of the 2001 board and some members of senior management were charged by the Australian Securities and Investment Commission (ASIC) with a range of breaches of the Corporations Act 2001(Cth) including breach of director’s duties by failing to act with care and diligence. ASIC also undertook investigations into possible criminal charges against the company’s executives but in September 2008 the Commonwealth Director of Public Prosecutions decided there was insufficient evidence and charges were not pursued. The bottom line to the above is that James Hardie stripped the assets out of “Amaca and Amaba whilst leaving them with most of the asbestos liabilities of the James Hardie group”. They also left them underfunded and then refused to top up the funding when needed until political pressure was applied. They also deliberately made false and misleading statements to the public about the funding which occurred after a board meeting approved a false statement in February 2001. As soon as I read that in relation the court of appeal judgement I knew it was dodgy. If David Robb had any evidence to support James Hardie and the directors they would have called him as a witness and they didn’t. As the High court found no such duty existed requiring ASIC to call all witnesses. Spigelman, Giles and Beazley went looking for any reason they could to back up their predetermined judgement. They even made up some “obligation of fairness” test that never existed. What three grubs they are. 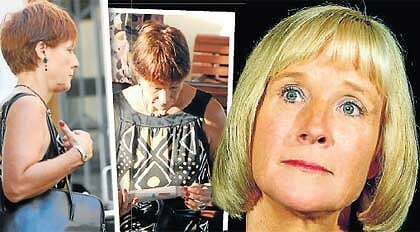 Spigelman has done a runner but Roger Giles and Margaret Beazley remain judges of the NSW Supreme Court. At one stage there was even talk of Beazley replacing Spigelman when he retired. NSW dodged a bullet when that did not happen. All three need to be fully investigated for such a dodgy judgement. E.g. Which respondents or associates of the respondents they know on a personal basis would be a good start. The James Hardie matter has been refered back the NSW Court of Appeal so the matter is not over yet. Obviously Giles and Beazley should not be allowed anywhere near the case. Spigelman has been mentioned on this site a number of times which I already put a link to one post above. But another that is well worth a read involved the courts illegally approving deals the NSW Crime Commission was doing with criminals and helping them launder proceeds of crime. This was done on Spigelman’s watch and without a doubt involvement. I posted it on the 23rd of June 2011 and it is titled “What is the price of freedom? About $900,000 if you are bribing Commissioner Phillip Bradley at the NSW Crime Commission.” (Click here to read the post) The NSW Police Integrity Commission are still investigating and I am sure that Spigelman’s name could and should get mentioned in any findings. The directors of James Hardie are a disgrace and for Spigelman, Giles and Beazley to try to protect them is even more disgraceful. I will keep an eye on the James Hardie matter and see how it pans out. On 8 March 2012 Prime Minister Gillard announced Spigelman would become chairman of the Australian Broadcasting Corporation (ABC), starting a 5-year term on 1 April 2012. (Click here to read his profile on Wikipedia) Well Spigelman is a good Labor boy so no surprise there. Since 2010 he has also been Chair of the National Library of Australia Council. ← Peter Slipper strikes it lucky and lands corrupt federal court judge Steven Rares to hear his sexual harassment case. Why are the Hardie directors not behind bars? The directors of James Hardie are very well connected. Let’s wait and see how many independent directors resign from their big fat paying positions from around the country. I suspect not one will. They are paid to do a job, not to rip people off and perjure themselves in court. I saw he was being tapped as Chair of the ABC by Gillard. Must be those free Middle-Eastern holidays courtesy of Mr. Dadon and his little group that gets her and her little group of fellow travelers so willing to help out. Shane, you are miles apart from our legal system. You seek the truth our legal system does everything it can to avoid it and they have the hide to call it justice. Australia wide, there is a ‘wonderful’ JUSTICE system…..the only problem is, that the only justice to be found, is in the name…….